It’s not easy being a chef. Aside from working in the kitchen all day (and on your feet), you are also exposed to a lot of dangers (slipping, being spilled on, being electrocuted, etc.). You really should be in your proper work clothes when you’re working as a professional cook. And part of your working gear includes your shoes. Do not take your footwear for granted, especially if your work demands that you stand (and walk, and move around) on your feet for long hours per day. 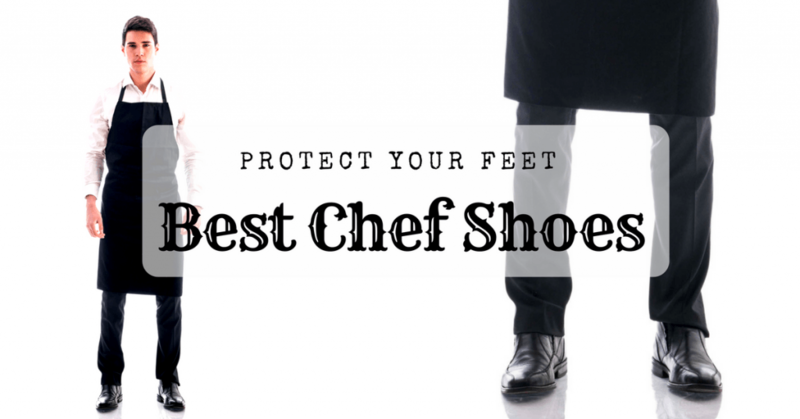 Wearing the best chef shoes for you will save you a lot of pain and health problems in the future. 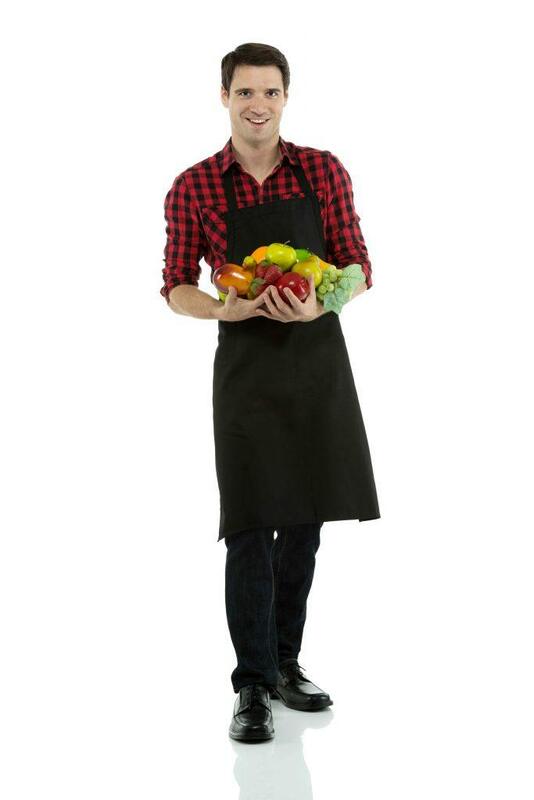 I will provide you with a Top 5 list of the best chef shoes on the market right now. Read on and you will find out how to choose the right shoes for your occupation. Which Is the Best Chef Shoes for You? Comfortable – Comfort is very important in shoes as wearing uncomfortable ones will cause you pain and injury. Supportive – Shoes are not worn just for the sake of style and appearance. More importantly, this type of footwear is meant to provide you with support along your arch, ankle and heel areas so as not to have foot problems. Durable – Unless you want to buy shoes again and again in a short span or time, you would want to invest on a pair that’s long lasting (it’s more practical and economical). Easy to clean – As a chef, you are constantly exposed to different types of ingredients while preparing food. These ingredients can cause your shoes to have dirt, stains, etc. Surely you don’t want to waste your time and energy with just cleaning your shoes all the time. Presentable – Even if you’re working in the kitchen, it would be inspiring to have a nice pair of shoes on. As long as you get a pair of chef shoes that meets all the necessary requirements, it’s ok to indulge in one that’s stylish and pleasing to your eyes. You already know some of the most important things to look for in a good pair of chef shoes, right? However, there are other things that you should also consider – especially when choosing from different models of shoes. 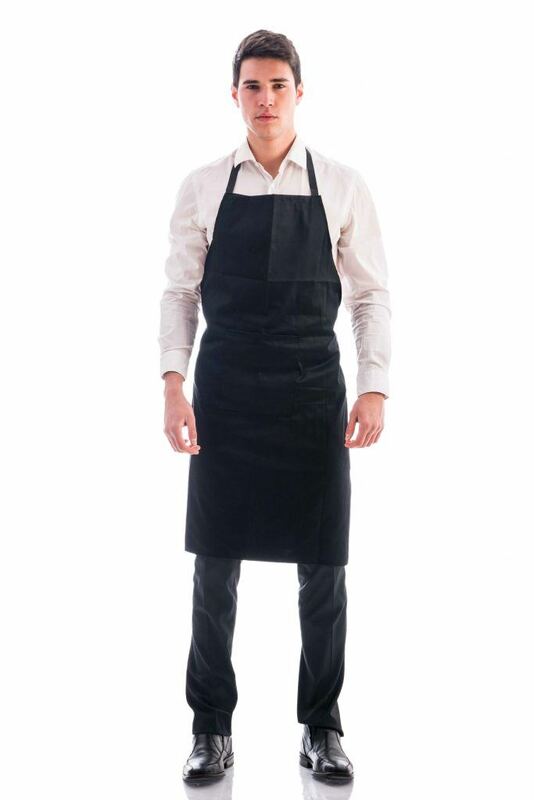 Convenient – For a busy job like a chef, you want the convenience of putting on your shoes easily. If that is one of your needs, choose a slip-on type of shoes over one that uses laces. Rugged – The kitchen is a busy place for a chef. As such, make sure that you’re wearing a rugged type of shoes that won’t slip even if there are water spills and oil spills on the floor. 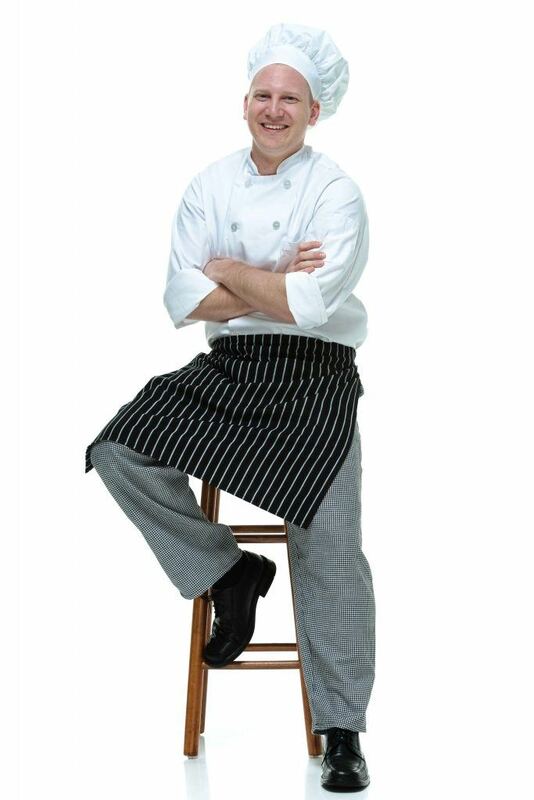 Price – When buying a pair of chef shoes, consider it an investment to your health and well-being. For this reason, buy the most comfortable shoes for you – even if it costs you a lot of money. Getting high quality shoes also means they’re more durable and long lasting, you know. 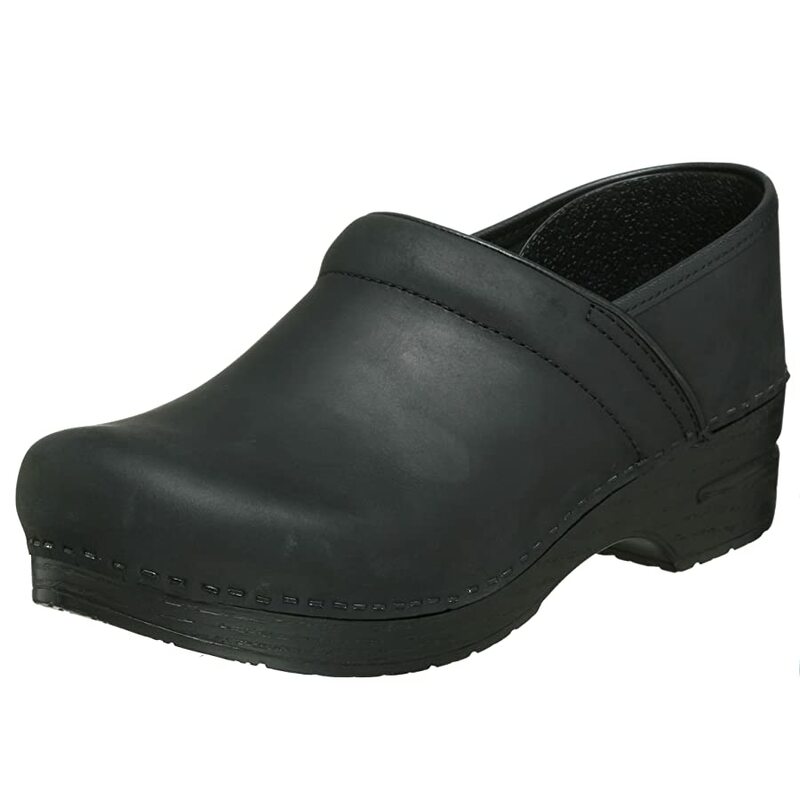 Men and women chefs will find these clog shoes comfortable to wear (which is very important if you’re always on your feet for long hours). It’s made of Croslite materials – which eventually conforms to the form of the wearer’s feet. 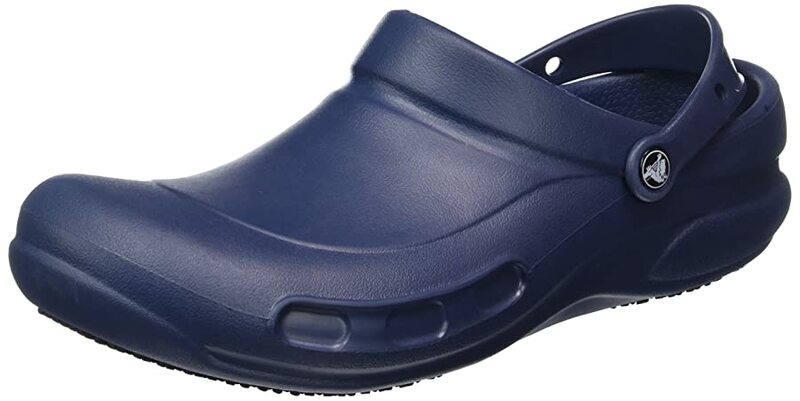 True to Croc’s typical style, this model comes in an enclosed design – therefore, it can also protect your feet from spills and splatters while cooking in the kitchen. Built with massaging footbed, it’s like having a foot massage and reflexology session when you walk about while performing your work. Comfortable to wear – Ideal for long work hours. Enclosed design – Your feet (especially toe areas) are protected. Easy to clean – It’s made of rubber materials that are easy to clean with soap and water. Durable – It can last for about a year. Convenient – This is a slip-on type of shoes. Slip-resistant – It’s safe to use in the kitchen. Enclosed design – Airflow can be restricted. Support – It doesn’t provide much ankle support. Style – It’s not very stylish. If you’re going to order this pair of Crocs shoes, not that the size runs a bit larger. Therefore, if you can order a size that’s about half an inch or an inch smaller, the shoes will probably fit you better. A lot of people also consider this model as the best chef shoes for sore feet – so, if you want to give your feet a rest, consider buying this product. Made exclusively for men, chefs and cooks will surely find this pair of shoes from Skechers not only stylish but functional as well. It comes in a slip-on design, so it’s really not troublesome to put on. Its overall design includes elastic openings, padded collar, and a cushion made of memory foam. So, yes – it’s comfortable for long hours of use. This model of Skechers shoes for chefs also comes with safety designs. It can protect the wearer from electrical shocks (secondary level protection) when he comes into contact with energized objects. It also comes equipped with safety toe features to withstand light impact and compression. Style – This is a stylish model that you can proudly wear even after work. Comfortable – It comes in a breathable design and there’s a memory foam to support your feet. Durable – It will last for a long time even if worn for long hours per day. Safety measures – It offers protection from electrocution, impact, and falling objects. Easy to wear – It comes in a trouble-free slip on design and has elastic openings. Slip-resistant – It’s suitable to wear on wet and slippery floors. Not that easy to clean – The upper portion of the shoes is made of mesh fabric. Not very supportive – Overall foot support is not that great. Design – The back portion is quite tall and can fold when you slip the shoes on. Chefs who are looking for a pair of work shoes that can also be worn casually will like this model from Skechers. However, while it’s stylish, safe, and comfortable, it doesn’t offer full feet support for very long hours of work. This model fits snuggly on the feet. So, if you want more room, make sure to order a size bigger than you normally use. Made from polyurethane materials, both men and women will look good in these unisex pair of Birkenstock kitchen shoes. And not only that – it also provides good support for long hours of working on your feet. As you can see, the shoes are not very stylish. However, it has a professional appeal that will work well for chefs and cooks in the restaurant industry. Comfortable – The shoes come with footbed design that supports your whole body weight, not just your feet. Waterproof – Having waterproof shoes work really well in a busy kitchen. Safe – It comes with a closed-toe design. Non-slip – It’s designed with anti-slip outsoles. Arch support – It offers an exceptionally good arch support. Easy to clean – Spills and dirt can be easily cleaned. Needs some time breaking in – The materials are not that soft and it will take a while for the shoes to be really comfortable (couple of weeks). This simple chef shoes boast of good quality and usability. This Birkenstock model of shoes is built to last long and is designed with comfort and safety in mind. If you don’t mind breaking the shoes in for about a week or two, you will have a pair of comfortable working shoes that has adjusted to the shape of your feet. 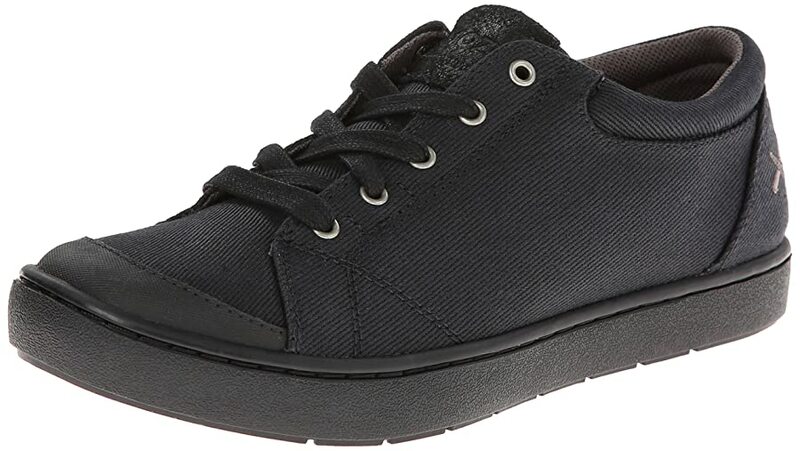 Made from leather materials, this Dansko chef shoes for men is available in black and brown colors. With its clog-style design, your feet will be protected because of the enclosed environment. It also comes with other safety features that makes working in the food business less dangerous. Safety features – It’s non-slip, supportive, and comfortable to wear all day. Design – It’s designed with padded collar and breathable footbed for extra comfort. Durable – This pair will last for a long time even if you use it for long hours every day. Fit – The shoes conform to the user’s feet. Versatile – This working shoes are made for walking, standing and moving about in a restaurant environment. Needs Breaking in – It will take some time to get used to the shoes as it will need some breaking in period before it becomes truly comfortable. Price – These shoes are not cheap. This model of shoes from Dansko is easy to manage since it’s a slip-on type of shoes. The clog style also makes it safe when used in a kitchen environment. With 1-inch heels, this pair also offers good arch support. And since it will still widen up as you wear it, it would be advisable to get your exact size when you order it. This pair of MOZO chef shoes for women currently comes in 4 different colors. Made from canvas materials, it’s fit for use in the workplace (kitchen) and off-work as well. If you’re specifically looking for a sneaker-style chef shoes, this can be one of your options. It’s actually quite cute for work shoes, if you ask me (and that’s a good point). Designed with laces, you can adjust the fit accordingly – to either loosen the shoes or make them tight. You can even decide to leave the laces on and use the shoes as slip-ons. Comfortable – Even flat-footed people will find these shoes supportive. Quality – Quality is good that it can stand abuse (from long work hours) for about a year. Looks – This is a stylish pair of chef shoes. Breathable – The shoes have holes along the arch area for ventilation. Non-slip – You can wear these shoes on wet and oily floors. Durability – While the shoes can last for a long time, these will probably wear out within a year. Style – It’s not your typical slip-on shoes since it uses laces. Not that easy to clean – Dirt can be a bit hard to remove on canvas materials. For a pair of fashionable shoes that also works well as chef shoes, consider this model as one of your best choices. It also offers an effective support system for a whole day’s work and even flat-footed people will find it comfortable to wear. This model of shoes from MOZO can very well be the best chef shoes for flat feet. Please note that this particular model comes just a bit small in size. Therefore, it would be good to get a slightly bigger size (should you decide to order it). As you can see in the Top 5 list above, the number 1 spot went to the Crocs Unisex Bistro Clog shoes. I highly recommend said pair of shoes because it’s reasonably priced, long lasting, and equipped with all the safety measures needed by a full time chef. It’s not very stylish, I know – but it’s a reliable working shoes and Crocs shoes are known for support and comfort. Now, if you’re particularly looking for chef shoes for men, the Skechers for Work Men’s Flex Advantage model may be of interest to you. It’s also reasonably priced – and Skechers is a brand that’s also known for durability and workmanship. The shoes are also stylish – so, that’s an added bonus. For women chefs who are after style, safety and functionality, I would suggest considering the MOZO Maven Sneakers. Again, this pair is reasonably priced and is well-built – it’s also easy to wear and supportive. This pair of shoes is so stylish, that it doesn’t even seem to be a working pair of shoes. Still, you can consider the other pairs of shoes (Dansko for Men and Birkenstock) when choosing the best chef shoes for you. Like I said, the products included in the Top 5 list are all good and chefs from all around the world are very satisfied with them. Read more: The Comfortable Shoes for Waitress. we are chef shoes manufacturer in China, look forward to cooperating with distributors, if you have interest with this project, please feel free to get in touch with me.